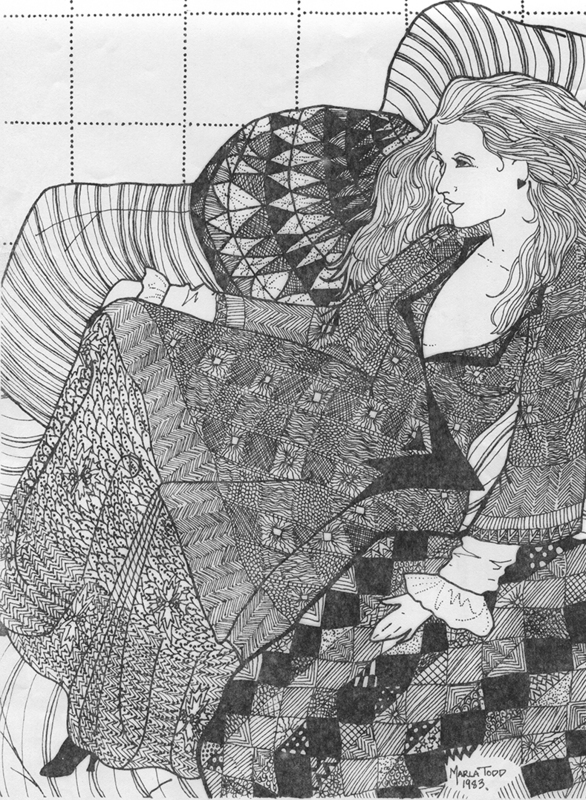 This entry was posted in art, Artists, Beauty, Drawing, Gothic, Illustration, Pen and Ink and tagged 80's illustration, art, artist, fantasy, fashion, illustration, Marla Todd, Pen and Ink, vampire maman. Bookmark the permalink. ← Now you can take me wherever you go. And what an amazing artist she is! I’ll let her know you said that. No I have never heard of Zentangles. Thanks for the link. Fun stuff. You can have Marla give that one to me. I have a nice wall it can go on. Unfortunately the original was given to a man who liked the drawing but didn’t appreciate the artist as he should have. But that was back in 1983. I’ll let Marla know about that wall of your. This is beautiful!! Amazing work!